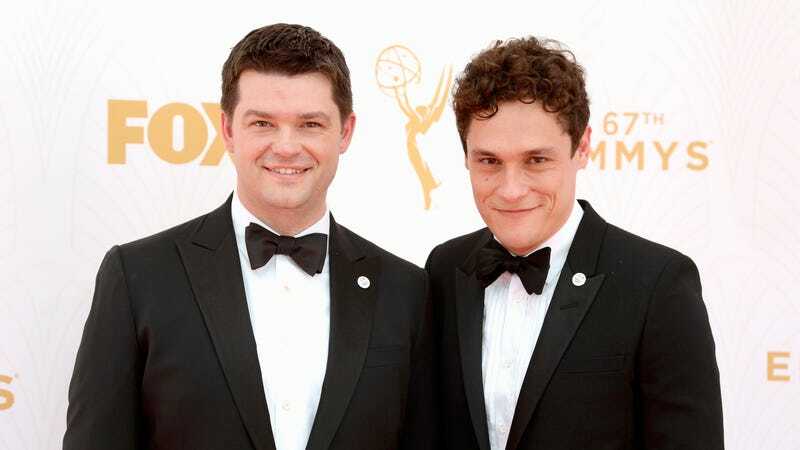 Suggesting that any lingering hard feelings about the fallout from their aborted tenure on Disney’s upcoming Star Wars spin-off, Solo, have finally been put to bed, Phil Lord and Christopher Miller have announced that they’ll still be getting official credit for their work on the film. Specifically, both Lord and Miller—who were booted off the movie by Lucasfilm last year, after the studio raised concerns about the film’s comedic tone—will appear as executive producers on the movie when it soars into theaters on May 25. Miller and Lord were replaced on the film by Ron Howard, who’s been careful in recent interviews to acknowledge their work in bringing the project to life. The duo mentioned their new credit on the movie during a conversation at the GLAS Animation Festival today, during a panel looking back at their careers, from Clone High through their recent success with 21 Jump Street and The Lego Movie. Despite the Solo kerfuffle, the duo continue to be a prolific team; most recently, they were attached to direct Artemis, from a book by The Martian’s Andy Weir.